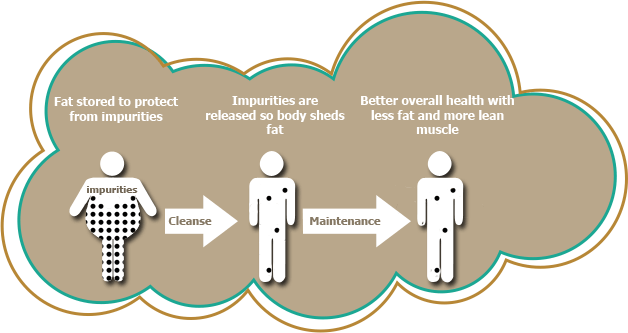 Cleansing is an effective, healthy, and natural way to achieve a healthier, leaner body. One of the ways the liver deals with impurities is to increase body fat to enfold these impurities and to protect the body from their influence. 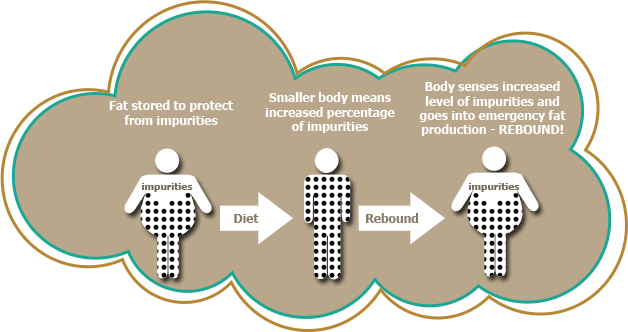 Diets are not successful for long term weight loss because they don’t address the need to cleanse the body of impurities. Shed Pounds without the Rebound! Call now and book your appointment!